Cute, fun & easy! 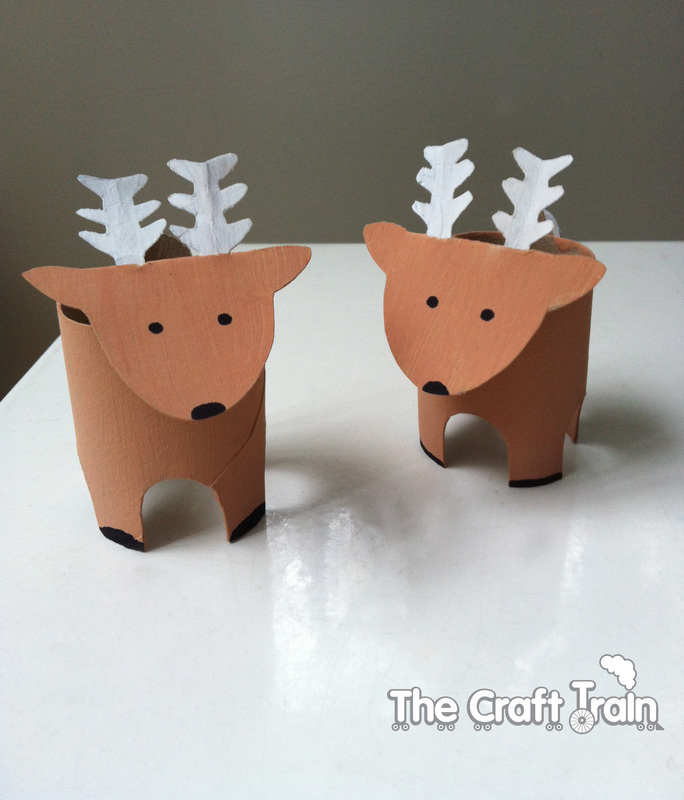 Kids will love recycling toilet rolls to make Santa’s Reindeer. 1) Make 4 dots around the bottom of a toilet roll, marking the 4 opposite sides. Cut a small arch around each of the dots. Once you have cut the first arch, use the small piece removed to trace the exact shape over the remaining 3 dots, this way they are all the same and the legs are an even size. Reserve one arch for the tail piece. 2) Cut approx the top third away from the toilet roll (on the opposite side to the legs) leaving a small neck to attach the head. 4) Draw 2 little antler shapes with a longer than necessary stem for ease of attachment. Cut them out. Tip: To make them even fold the paper in half first, then draw half an antler along the fold, cut it out & unfold to make the full antler. 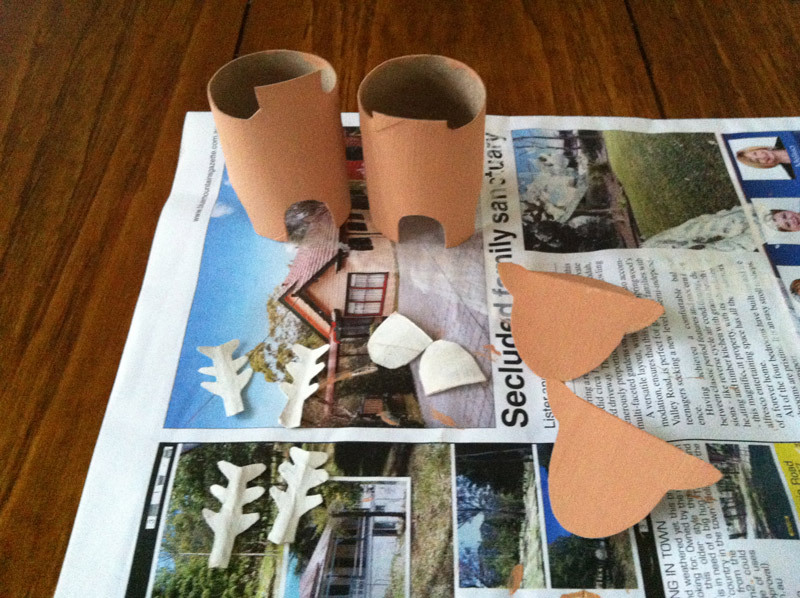 5) Paint the toilet roll and head shape brown, and the antlers and one of the arches made from cutting out the legs white. 6) Once dry, cut 2 small slits along the fold of the head to slot in the antlers. Slot them in and attach with double sided tape. The attach the head to the neck from the underside with double sided tape. 7) Attach the little white arch to the rear end for a tail. 8) draw a face & hooves with a black permanent marker. • This cardboard reindeer hobby horse is so much fun! Egg Carton Spider puppets … watch out they’re scary! I don’t speak English and I don’t understand it but i like your work very very much!!!!!!!! I love it, I’m going to make this cute Santa’s Reindeer for christmas !